Before we know it, December will brighten up our lives again. Although probably cold, with all the lights and festivities around it’s always a warm welcome after an often grey November. Yes, it will be dark before 3 pm, but all the Christmas decorations make it much more bearable. People in the city have already started to light up their balconies and candles illuminate every little corner. 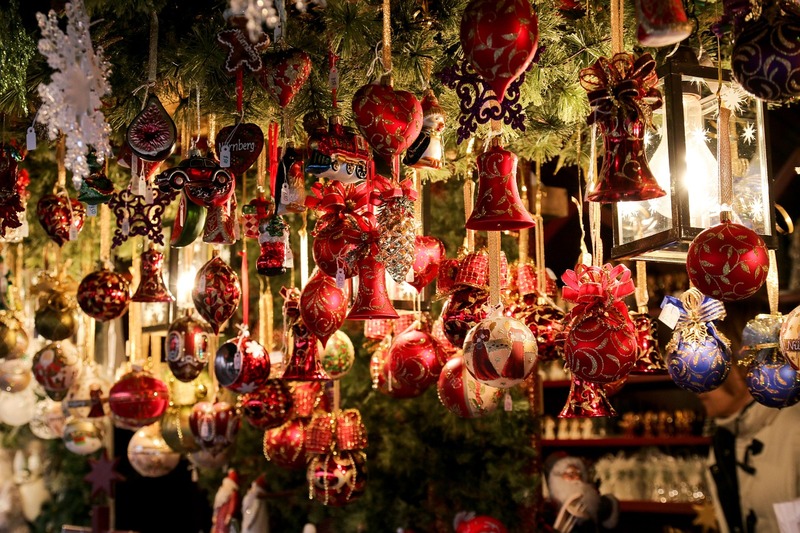 Here’s a little guide on what’s happening in the city during December. NK already revealed their Christmas windows on Sunday 18 November, when Santa Claus made his first appearance. Stockholmsjul starts this year on Saturday 25 November; 40 streets and places in Stockholm will be lit up with Christmas lights. 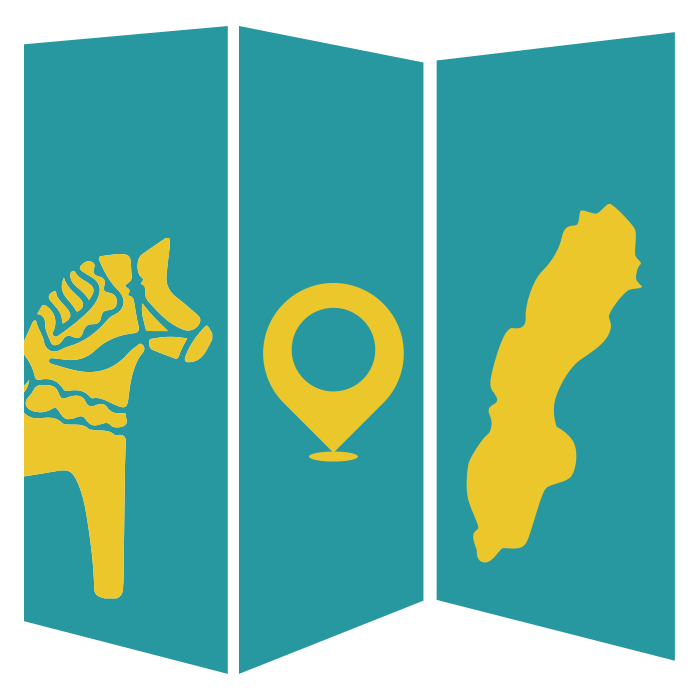 The opening ceremony is between 3 and 4 pm at Kungststrädgården. The lights will remain for the rest of the Christmas season and until the beginning of next year. More information, here. 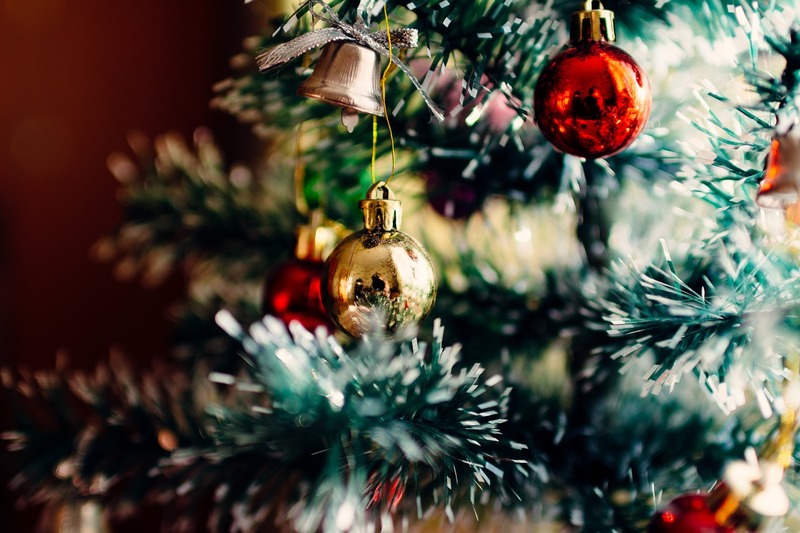 There are many activities and events to enjoy in December. You can go ice skating in Kungsträdgården or Vasaparken or visit one of the Christmas markets. To mention a few: there’s a quaint one in Gamla Stan, at Skansen, Drottningholm Palace (only 8 and 9 Dec) or at the Royal Stables (Hovstallet). Here you can also see the horses and carriages of the Swedish royals (only 30 Nov – 2 Dec). You should go to at least one julbord. Restaurants serve up full Christmas meals from late November. Or you could get tickets to a Christmas concert or ballet, but it might already be too late for that since is recommended to book quite far in advance. It’s good to stay active in the winter months and it doesn’t become more fun than at the Santa run in Stockholm on 9 December. This 3 km run is for everyone and you don’t need to be a runner, it’s all for a good cause. Before Christmas, Swedes celebrate St. Lucia’s day on 13 December. It’s quite easy to come across a Lucia procession. A wonderful tradition that has been embraced by the Swedes. During this tradition, a girl is chosen as Lucia and she will wear a headdress containing either lit candles or battery powered lights. Lucia will be accompanied by girls and boys, dressed in white, bearing candles and singing songs about bringing the light. Lucia visit places like hospitals and old people’s homes. They hand out pepparkakor (ginger snap biscuits), lussekatts (saffron buns) and glögg. Popular places to enjoy a St Lucia procession and performance include Skansen, Storkyrkan (Gamla Stan), St Jacobs Church and Stockholm City Hall but you need to book tickets in advance. You can also easily see a Lucia celebration for free in a local church, department store (NK), at school or your workplace. Christmas is very important in Sweden. The Christmas celebrations usually start with the first Advent at the end of November. The main celebration and the exchange of gifts (julklappar) takes place on Christmas Eve (Julafton). After Christmas Eve the Swedes have juldagen (Christmas Day) and annandag Jul (Boxing Day). 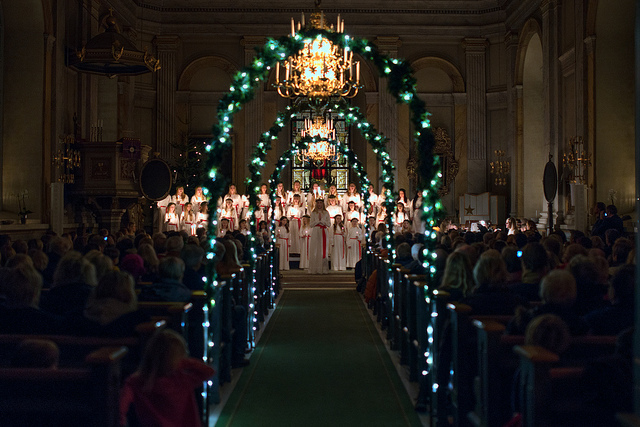 On Christmas morning many Swedes go to church or they join the Midnight Mass on December 24. A very typical Christmas tradition in Sweden is watching Donald Duck on TV at 3 pm on the day of Christmas Eve. This show is called ‘From All of Us to All of You’ or in Swedish ‘Kalle Anka och hans vänner önskar God Jul’. 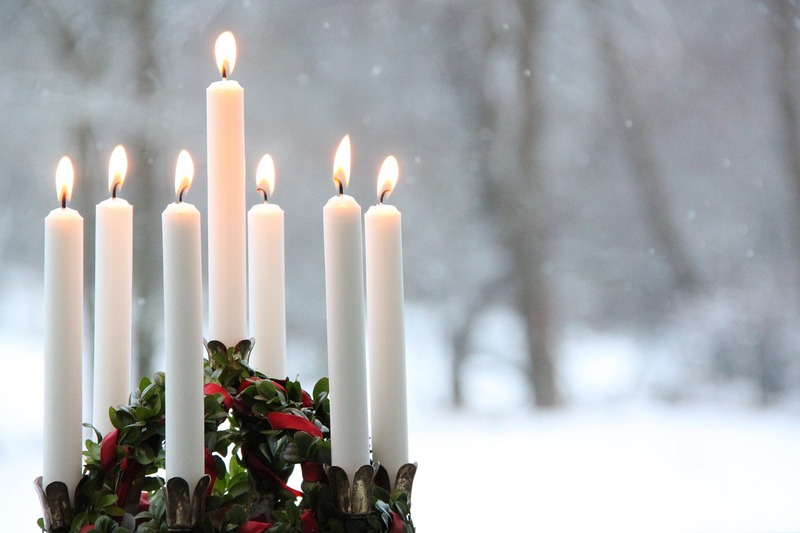 The end of Christmas in Sweden is on 13 January, twenty days after Christmas. Traditionally this is the day the Christmas tree and all the Christmas lights are taken down. It is called Knut’s day (Tjugondag Knut), after Danish prince Canute Lavard. Not many people know why. Now we’re only waiting for some snow.